Arco-Íris (Leiria, Portugal) on 6 December 2006 in Cityscape & Urban and Portfolio. Janela do Palazzo Ducale, na Praça de S. Marcos, em Veneza no Verão de 2005. 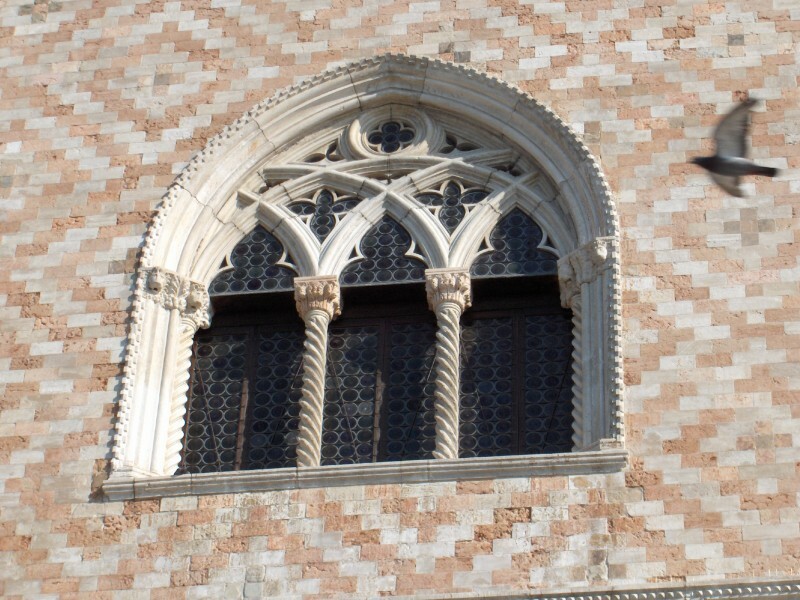 Palazzo Ducale's window. Piazza S. Marcos - Venice - Summer 2005. Good capture! The bird adds a little touch to it. Beijinhos. great detail and the pigeon is the icing on the cake. The texture and colors are nice. Nice catch with the bird flying by. Great texture on the wall. Nice detail, I like the bird on the right. Good shot! I like the bird too! Very pretty...have you thought about B&W for this picture I think it'd work well. The pigeon works well with the picture too!! nice one! I love how the bird added to the overall effect of the photograph.